North Korea offered the United States direct talks between Kim Jong-un and Donald Trump. Trump agreed and the world is holding its breath. In a very significant development, North Korean leader Kim Jong-un invited U.S. President Donald Trump to a meeting. Trump agreed to the meeting which the White House says will be held by May of this year. The site of the meeting has yet to be determined, however, this would be the highest level meeting ever between the two countries which technically are still at war with each other from the first Korean conflict. Meanwhile there has been a lot of diplomatic activity in recent weeks between North and South Korea. During the Winter Olympics in PyongChang last month, Kim Jong-un sent his sister Kim Yo Jong to the opening ceremonies to deliver an invitation to Moon Jae-in for a summit. Moon agreed to the summit which is now scheduled to take place at the end of April. Some analysts are speculating that the recent flurry of diplomatic activity is because Pyongyang is afraid of the effect of the latest sanctions on the stability of its regime, and also the possibility of devastating U.S. military strikes. 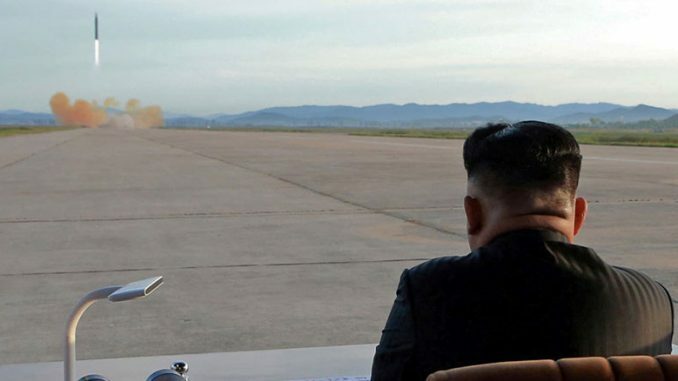 The diplomatic moves, initiated by North Korea, also come at a time when North Korea has successfully detonated a hydrogen bomb and intercontinental missiles to deliver a nuclear payload anywhere in the United States—at least according to them. Having met their goal, they may feel they are beginning negotiations from an equal footing since they too are now a nuclear power. So what will the talks look like? It is scary to speculate. Kim Jong-un has been an unpredictable character for his part, and Trump himself is just as unpredictable. Trump just ignored the unanimous opinion of his economic advisers and initiated steel and aluminum tariffs. Not only does Trump exibit a habit of ignoring his own experts, his administration is short on experienced North Korea experts. One experienced expert, Victor Cha, was headed to be ambassador to Seoul, but the Trump administration killed his nomination by withdrawing him. Another expert, Joseph Yun, the top State Department adviser for North Korea just announced his retirement. South Korea is worried about two possible scenarios when it comes to United States diplomacy with North Korea. The first being that diplomatic efforts fail and start a devastating and costly war. The second, that the U.S. would toss aside South Korean interests for a solution. U.S. Secretary of State Rex Tillerson tried to put breaks on the latter part by saying that the meeting between Trump and Kim Jong-un are only talks and not negotiations. Though what Tillerson considers the precise difference between talks and negotiations remains unclear.